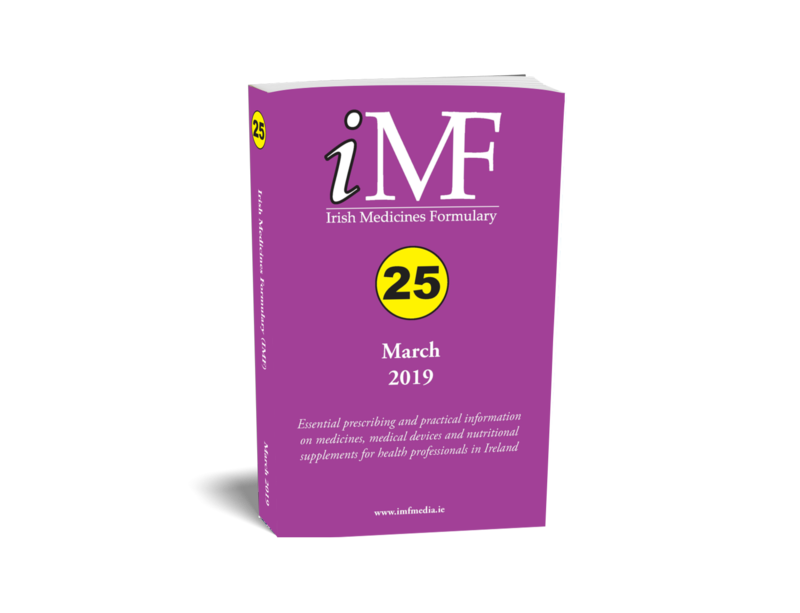 If you or your facility prescribe, dispense, administer or monitor medicines in Ireland, IMF helps with evidence-based decisions and actions. The most appropriate medicine, the correct dosage, most suitable formulation for a particular patient...all the relevant and practical information...instantly! Including extensive content from the official regulatory authorities and government health agencies, IMF helps in the safer and more effective use of medicines. Used extensively by GPs, hospitals, pharmacists, dentists, nurse practitioners and care homes it is an authoritative source of drug information in Ireland. In IMF all medicines - original brands, branded generics and true generics - are included to support optimal patient outcomes and efficient use of medicines. The inclusion of special-populations data (elderly, children, dosing in renal/hepatic impairment) eliminates any need to purchase extra reference guides. IMF also includes detailed information on commonly used herbals and a superbly-designed database of oral nutritional supplements. The provision of these multiple "data-engines" in one single place makes IMF essential for true multidiscipline patient care. Medication management is critical in residential care and IMF ensures nurses and pharmacists have instant access to the relevant and most accurate medicines information. The complexity of medication for elderly residents in nursing homes makes the drug-interactions and administration notes in IMF simply indispensable. IMF books and/or access to IMF-Online ensures directors of care and duty nurses always have instant access to the relevant safety information for medicines even when a pharmacist or GP is unavailable.